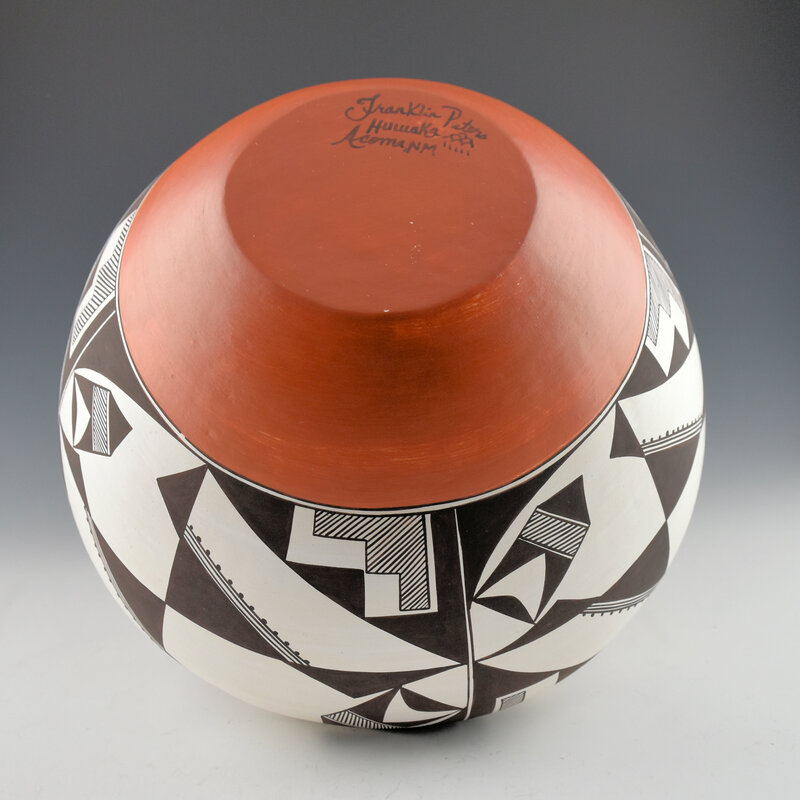 This is a large bowl by Franklin Peters. 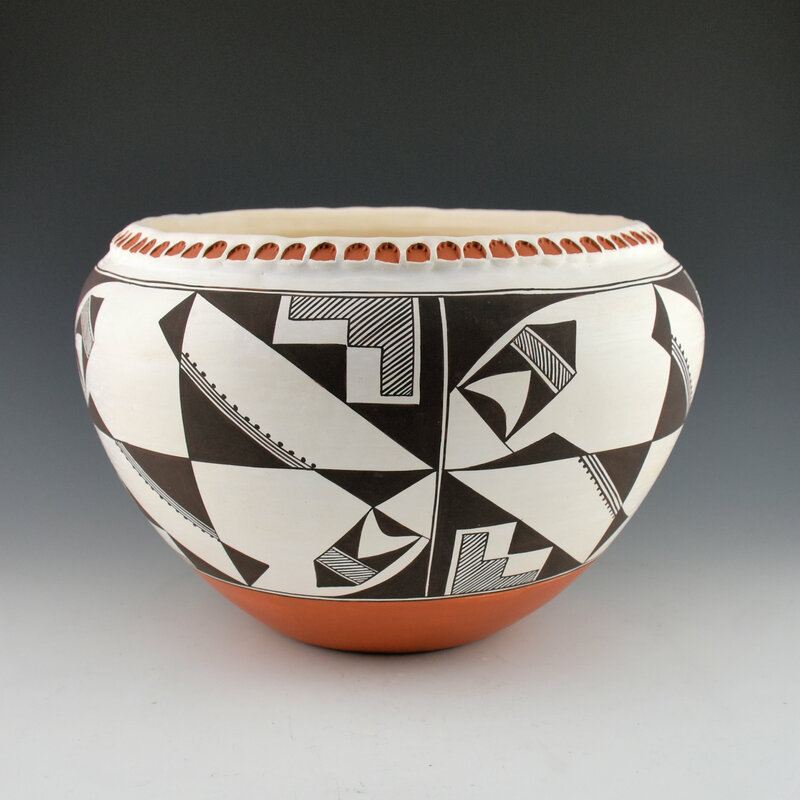 He is known for his thin-walled pottery and use of traditional Acoma imagery on his pottery. The bowl is coil built with native clay and painted with native slips. 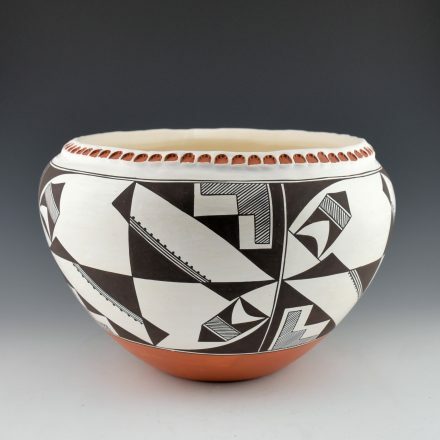 The design is a classic Acoma pattern with rain and cloud designs. Note the very thinly painted fine-line designs. The rim of the jar has an extra coil which he has then corrugated. Look closely and you can see the three small indentions as the top of each of the semi-circles. 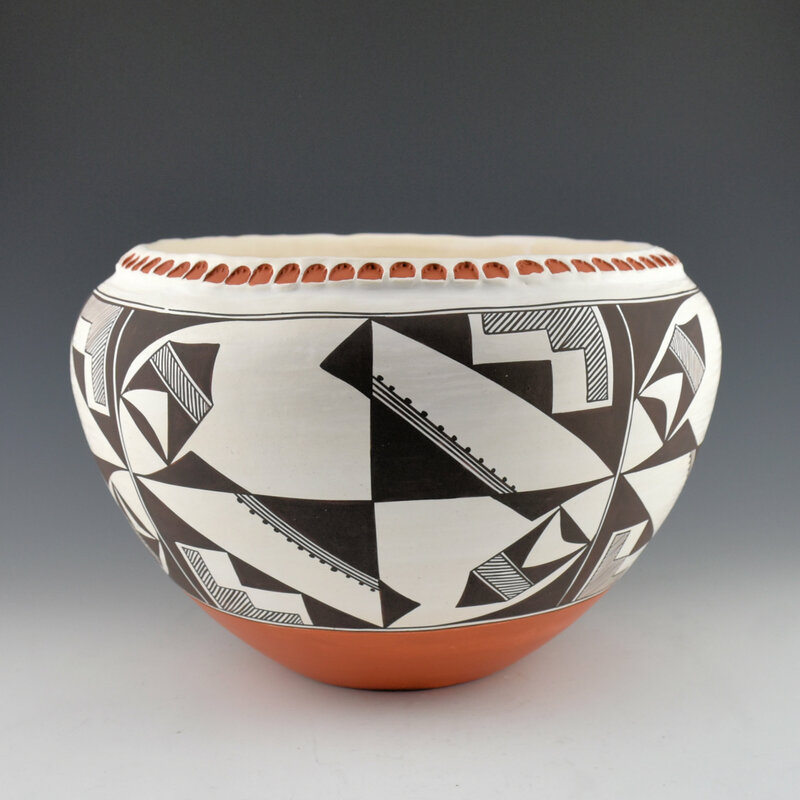 Franklin said that he carved a piece of wood with the three indentions to use for making the rim of the bowl. They are to represent the rain coming down at sunset. It is signed on the bottom.